I'm new to the forum and I really hope you will help me with my problem. 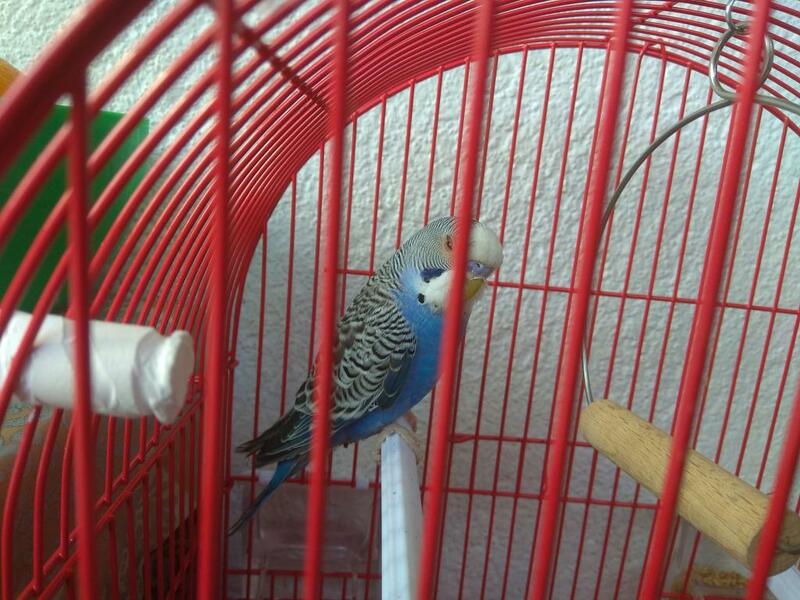 I just got a new budgie, his name is Chico and he is probably 5-6 months old. 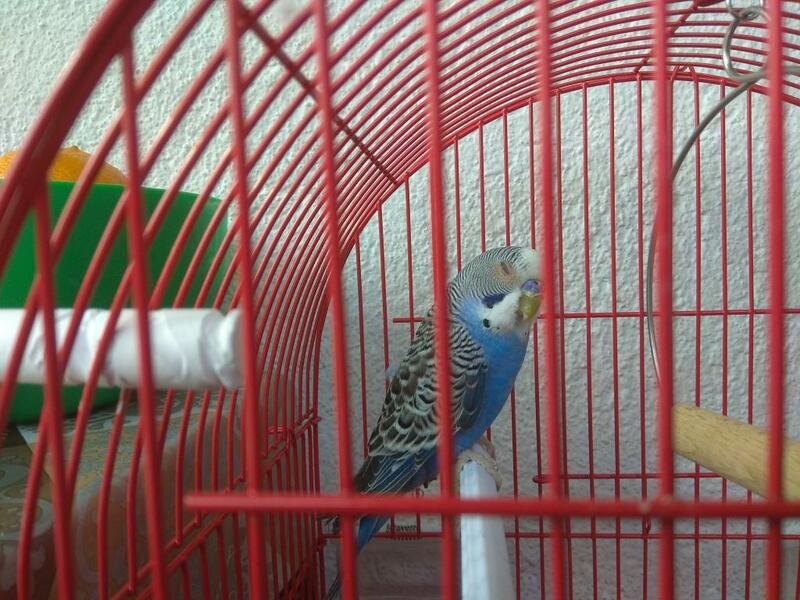 He is very quiet, which is unusual for me, since previously I had very active and noisy budgies, so I thought maybe he is just getting used to the new environment. But several days ago, I saw he has something that is kinda growing from the upper angle of his eye, also the area of that eye is getting bald. Maybe because he's been scratching if it causes him some pain, as he is usually keeping that one closed. His other eye is quite normal. I'm really worried if it's something serious and there's no avian vet nearby. Here I send you some images, so if you can see clearly, I hope some of you can suggest what that might be and what can I do to help him heal. Thanks in advance for any provided help and answer. I suggest your get sterile saline solution from your pharmacy and rinse Chico's eye with it to help alleviate the pain. While it is very challenging for people who live in countries with no Avian Vets, there are steps you can take to help ensure your budgies' health. With the right motivation, you can work with a regular veterinarian to get the proper care for your budgie(s) if/when there are no Avian Veterinarians available. You will want to do as much research as you can and learn as much about budgies and the best practices for their care so you can provide your little ones with the best possible life. We have a member in India who has done this and has developed a great relationship with a regular vet. 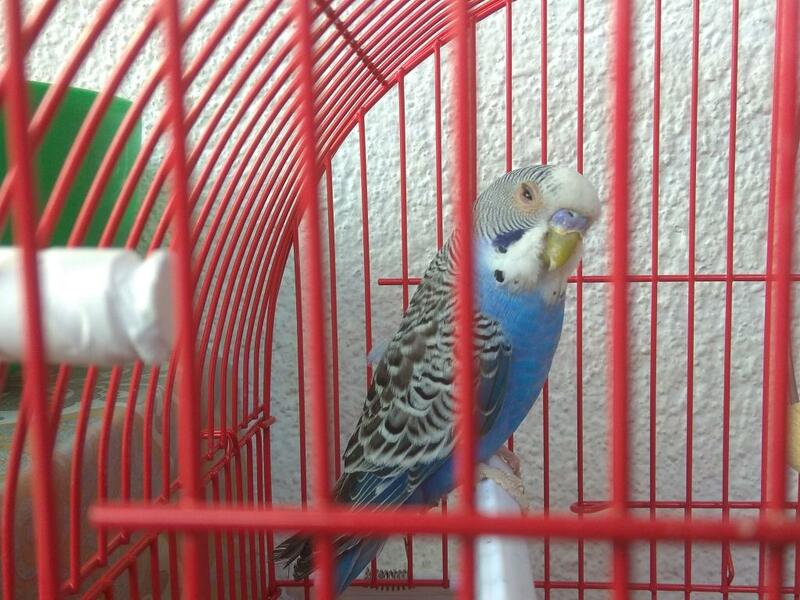 With the member's research and the vet's collaboration, they have found ways of providing care for her budgie that she would have not been able to manage otherwise. When you develop a good relationship with a regular veterinarian, that individual can collaborate via telephone or Skype with Avian Veterinarians in other countries if necessary to get assistance in appropriate diagnosing and prescribing treatment for your Avian companions. I recommend you remove any wooden or plastic dowel perches in the cage and replace them with natural wooden perches of varying diameters to help prevent pressure sores. You've been given great advice above. The first thing you should do is keep the area clean using saline solution, and try to find an avian vet. I hope Chico is able to get care soon - please keep us posted on how he's doing! If you have any questions after reading through the links provided above by FaeryBee, please be sure to ask as we'd love to help. Thank you both for the given advice and guidelines. I hope it is not something serious,so first I will try with your suggestion about the saline solution and maybe with some Chamomile tea bags. I truly hope he will get better soon, if not I will try to get in touch with some qualified vet as soon as possible. Thanks again for all your help and take care! The saline solution and chamomile tea isn't going to cure the eye problem. Those things will simply (hopefully) help alleviate some of the pain while you get Chico the professional help he needs.